Lakeshore State Park is on Lake Michigan in downtown Milwaukee adjacent to Discovery World and Festival Park home of Summerfest. During our visit on a warm summer afternoon, the 22 acre park was bustling with bicyclists and walkers enjoying the day. Canada Goose lined the banks of the fishing area while a few walkers looked out from the fishing pier. 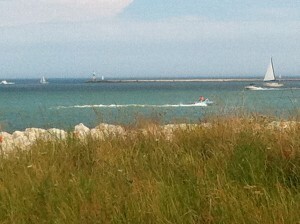 People on kayaks and stand up paddle boards sporting the top rated water sports products and gear. As we strolled along the paved path, we stopped to enjoy the wild flowers and native vegetation. Found a nice branch to widdle with my best bushcraft knife. Signage and markers helped us identify the specimens. 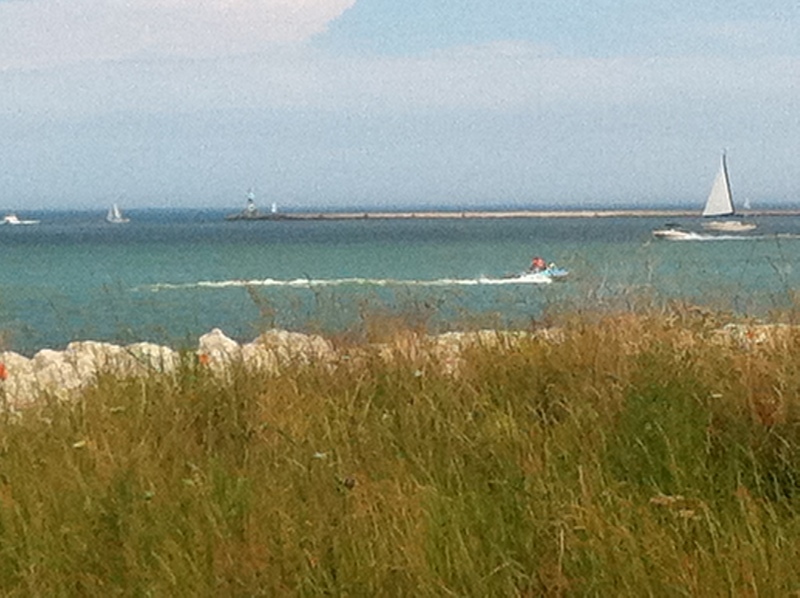 A few benches are strategically placed with views of the boats and Lake Michigan. Lakeshore Park is a sanctuary for people, birds, plants and mammals too. On our walk we saw a red fox checking us out. The park is home for both red and grey foxes, minks, woodchucks and rabbits. The water held in the Great Lakes could cover the entire United States by 9.5 feet. The Great Lakes hold nearly 20% of the Earth’s and 95% of the Untied States’ fresh surface water. 30% of Wisconsin lies in the Lake Michigan drainage basin – whatever is done to the land and surface waters in this area can eventually affect the lake. The boat slips were mostly empty on the beautiful summer day. Canoeing and kayaking are also encouraged at the park. Admission to the park is free.